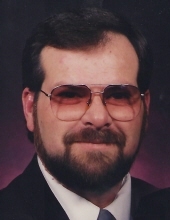 RODABAUGH, Howard Francis - age 67, of Flint, died Wednesday, March 20, 2019. Funeral services will be held 11 AM Saturday, March 23, 2019 at Sharp Funeral Homes, Miller Road Chapel, our temporary location at Hill Creek Church, 5363 Hill Rd., Swartz Creek with Rev. Robert Starr officiating. Visitation will be held from 4-8 PM Friday at the church. Those desiring may make memorial contributions to the Howard Rodabaugh Memorial Fund c/o Sharp Funeral Homes. Howard was born April 26, 1951 in Flint, the son of Junior Leroy and Margaret Joanne (Allen) Rodabaugh. He was a veteran of the U.S. Marine Corps and a life-long resident of Flint. Howard was a shuttle bus driver for Standard Parking for many years. He volunteered for the Muscular Dystrophy Association and Neighborhood Watch. He was very family oriented and enjoyed fishing. Surviving are: mother, Margaret Rodabaugh of Flint; four siblings, Walter (Barb) Rodabaugh of Lennon, Sandy Brown of Holly, Mike Rodabaugh of Burton, and Kim Rodabaugh of Burton; many nieces and nephews. He was preceded in death by: his grandparents; his father, Junior; sister, Cheryl Irvine; and brothers-in-law, Ray Brown and Garth McComb; niece, Viola Hensley. Tributes may be shared at www.sharpfuneralhomes.com. To send flowers or a remembrance gift to the family of Howard Francis Rodabaugh, please visit our Tribute Store. "Email Address" would like to share the life celebration of Howard Francis Rodabaugh. Click on the "link" to go to share a favorite memory or leave a condolence message for the family.